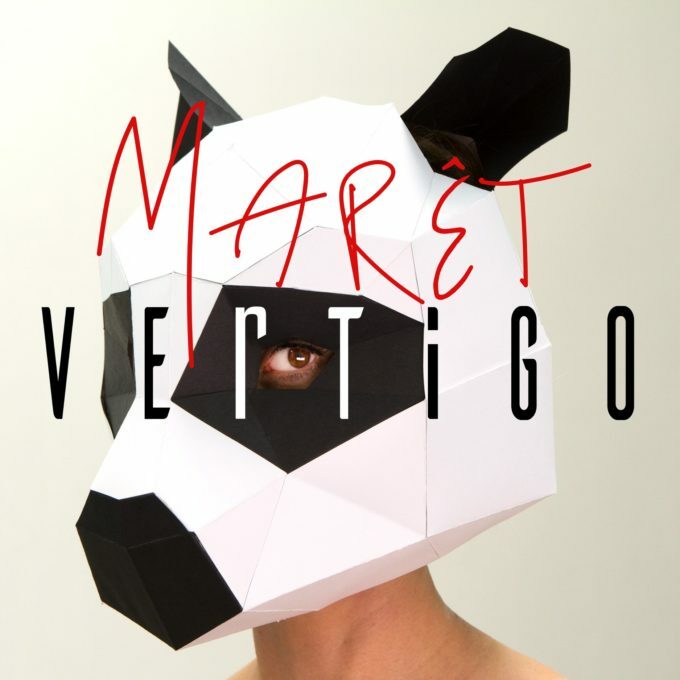 We get to know Marét, an intriguing new home-grown artist who’s just dropped a head-spinning new single called ‘Vertigo’. We like it very much. And we believe that you also will like it very much. Which is why we decided that we ought to get to know the songstress behind it a little more. Look for the panda in the music video (below). 02. Where are you based? Australia. 03. How did you get your start in music? Music has evolved very organically for me. I’ve combined many elements to bring me where I am today and a huge part has been collaboration with other musicians. I’ve explored a lot of opportunities which I’m very grateful have led me here. 04. Give us five words to best describe you as an artist. Magnetic, Mercurial, Creative, Inquisitive, Brave. 05. Tell us a little bit about your sound and how it developed. Marét’s sound is born from a deep love of great pop music. I’ve always been attracted to great melodies and stories, paired with inspiring harmony. I caught the train to where I am now, via blues, soul and hip hop and have really embraced combining elements for a future pop sound. 06. What’s your earliest musical memory? I’ve always heard music resonating around me from the moment I was born. Gentle lilting melodies sung by my mother, the hum of life, the delight of recorded sound. 07. Who have been your musical influences? Right now I’m very influenced by Janelle Monae, Sia, Anderson Paak, Kendrick Lamar and Childish Gambino, combining that with a deep love of the greats; Aretha Franklin, Ray Charles, Donny Hathaway and Stevie Wonder. 08. What are your favourite songs of all time? My favourite songs are the ones connected to memories. I love the feeling of being instantly transported back to a time and place when I hear song. I particularly have those attachments to Michael Jackson, Elton John, Sting and Madonna. The greats! 09. Where’s your favourite place to listen to music? When I listen to music I need to give it my full attention so I tend to listen with headphones, sitting on my lounge, often alone. I like to fully immerse myself in it. 11. What was the first album you ever bought? Madonna (self-titled). My favourite track was ‘Holiday’. 12. Give us a little fun fact about yourself that people might not know. I’m fascinated by space and our place in the universe. 13. What would your chosen career be if music wasn’t an option? I’ve always been interested in fashion design and I’m still interested in exploring that path. 14. What’s the best advice you’ve been given in your career? Do the work. 15. If you could trade places with any artist in the world right now, who would it be? Kimbra collaborates with some other very extraordinary artists and I would like to walk a day in her shoes for sure. 16. Tell us about your latest release. ‘Vertigo’ is a happy anthem about not giving up in life, even when you’re feeling beaten down. The video clip features a dancing panda and it explores themes of freedom, identity and connection. It’s a song to dance around your living room to. 17. What do your future plans involve? I’m very excited about releasing my debut EP in August and eventually getting on stage with the songs.